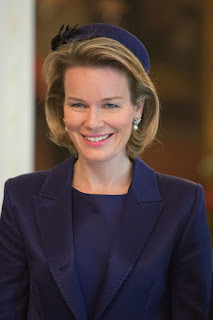 In 2019 king Philippe and queen Mathilde will be paying a state visit to the Grand Duchy of Luxembourg. For 2019, a state visit to South Korea has also been scheduled. Do you know if in 2019 King Felipe VI of Spain and Queen Letizia will also make a state visit to the Grand Duchy of Luxembourg? Looking forward to this Visit.Hope the Royal Ladies wear Tiaras. I love State Visits Tiaras and what not's. There are 10 Royal Houses reigning ones, let them do visits so we can enjoy the gala dresses and the great jewelry. And grant us some inside into their causes, like Mental Health Bullying Disabilities,protection for the Oceans Wildlife and so on. Expo "Antwerpen Barok. Rubens Inspireert"